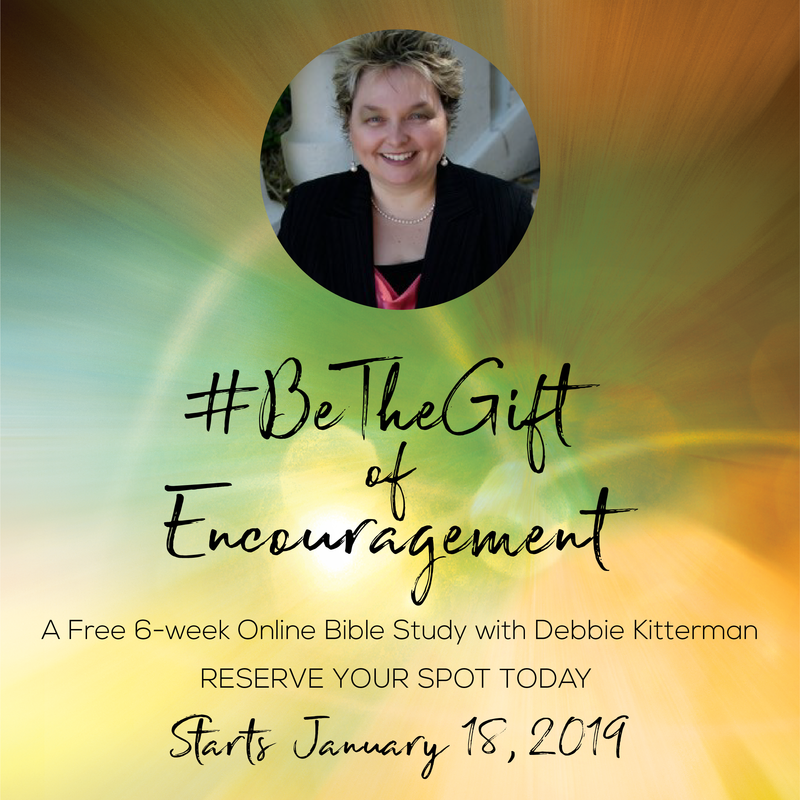 You are invited to join Debbie for this FREE 6-week video series and guided discussion on The Gift of Prophetic Encouragement. Together we will learn how Jesus modeled this gift and how we can #BeTheGift of encouragement others need. To participate in this free online Bible study you will need a copy of the book: The Gift of Prophetic Encouragement, 10-15 minutes once a week, and an e-mail address. Build your faith and increase your boldness. Deepen your relationship with God, open a direct line of communication with Him, and share His words with others. Break out of your comfort zone and embrace a lifestyle of encouraging others–just as Jesus did. Experience an interactive experience of what it means to #BeTheGift of encouragement others need. Throughout this 6-week study, you will receive weekly e-mails from Debbie including exclusive teaching videos and a guided discussion through the activation exercises. The weekly video can easily be completed in 10-15 minutes once a week. Plus, you will need additional time each week to read the assigned chapters, pray through and complete the weekly activations. Thank you in advance for signing up to be a part of Debbie's 6-week Online Bible Study. Please be watching your inbox on January 10, 2019 for the Official Welcome Email titled: Welcome to "The Gift of Prophetic Encouragement" Online Bible Study. This email will contain more specific details for you so you can plan for the official start of the Online Bible Study on Thursday January 18, 2019. This welcome email will contain the link to Debbie's new 7-day YouVersion Bible Study devotional to kick start our time together. The email will also contain a link to the Bible Study Facebook Group, a welcome video, and a weekly outline. In the meantime, if you don't have a copy of the book, you can purchase a signed copy from Debbie's website or order one from Amazon or Barnes & Noble (in stores or online). Currently I am running a New Year special on my website, with a signed copy of my book and a pack of 10 encouragement postcards. These postcards are excellent for doing the activations in the book. Please consider sharing about this Bible Study with a friend or two and invite them to join you as we journey together in the new year to deepen our relationship with God and others as we learn to #BeTheGift of encouragement others need today!. Also, please feel free to share on social media!